Awesome quote and photo! Brilliant. Great interpretation! Where are those dancing girls from? Thank you! The girls were “dancing” in the Sand Sculpture Festival in Burgas, Bulgaria. Beautiful photos and lovely quote. I enjoyed working on the prompt, Indira! Thank you! It’s very obvious dear, you always come up with nice posts. Love the first one seems toshow the artist’s essence. Yes…I couldn’ t resist taking a couple of photos there since it caught my eye at once. Thank you! What a great photo – I love the energy and the words engraved in the stone. Lovely captures! 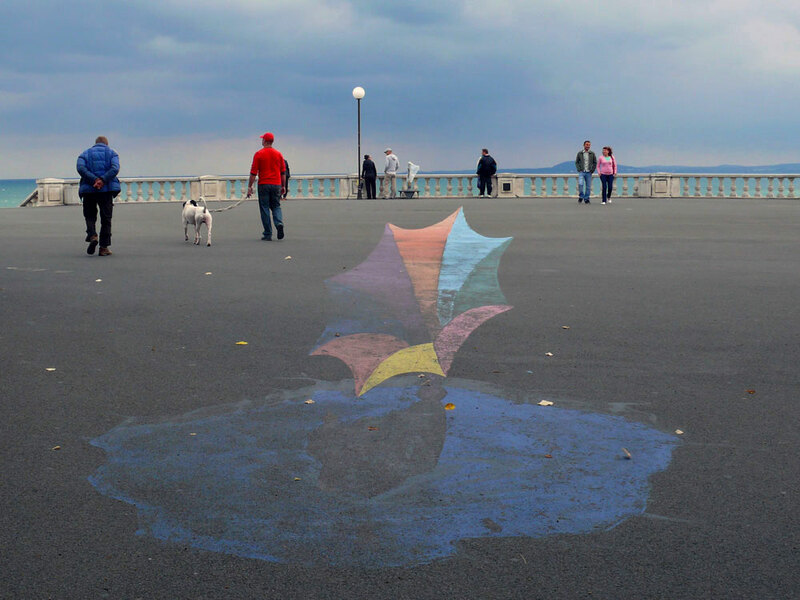 I love both photos but as a street art aficionada, my eyes are glued on those lovely colors. I was blown away by the sand sculpture – it still is one of my favourites I have ever seen through the years. Thank you! Love these two beautiful photos. Especially the first one. The dancing sand statue is very special. Great take on! Wonderful choices Ese – especially love the sculpture. And another marvelous quote!! Thank you very much, Tina! I enjoyed yours a lot! Perfect pics and quote for the challenge, Ese. The sand sculpture is so magnificent.! Where was this? Beautiful! I love the girls dancing in the sand. The prompt this week was a fun one and I have enjoyed seeing everyone’s expression. Cheers! 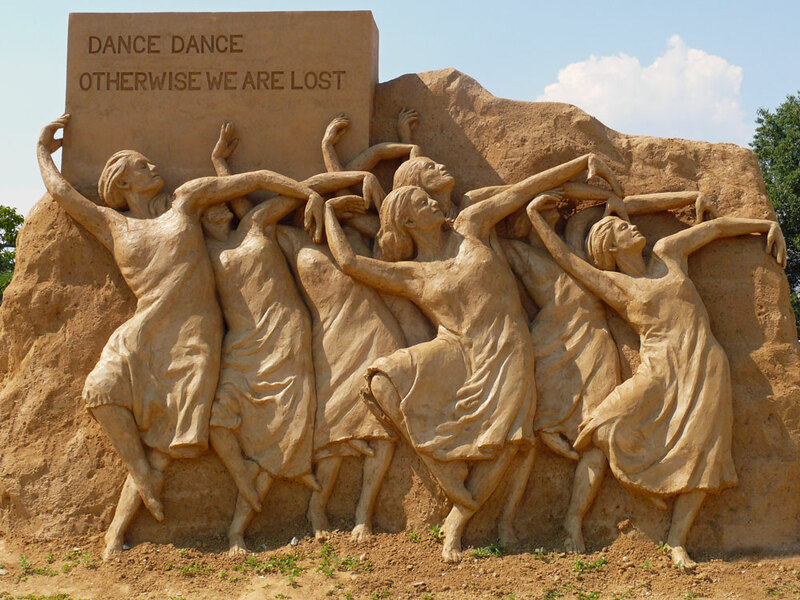 aww, I read in the comments you shot the dancing girls in Burgas… when was this sand sculpture festival? The girls are from the one 2 years ago – last years it was all about different cartoon characters.